The 2018 Chinese New Year starts this Friday! And it just so happens that 2018’s animal of the year is our favourite critter: the dog! Symbols of loyalty, happiness and honesty, we love everything about our canine companions – especially our office mascot, Waldo the pug! If you love dogs as much as we do, then why not add some characterful pup-themed homeware to your pad? You’d be barking mad not to! We’ve picked our top 10 below! Grow your own clover in a delightful way with the Papa Peropon Drinking Animal Planter – Dog! This cheerful kawaii-style critter happily slurps up water using his felt tongue in order to grow the seeds on his back into a flourishing clover plant. This cute pug art print pillow shows a youthful, awkward pup trying to be trendy with a mix of formal and casual attire! Trucker cap with suit and bowtie? Nice try Mr. Pug! 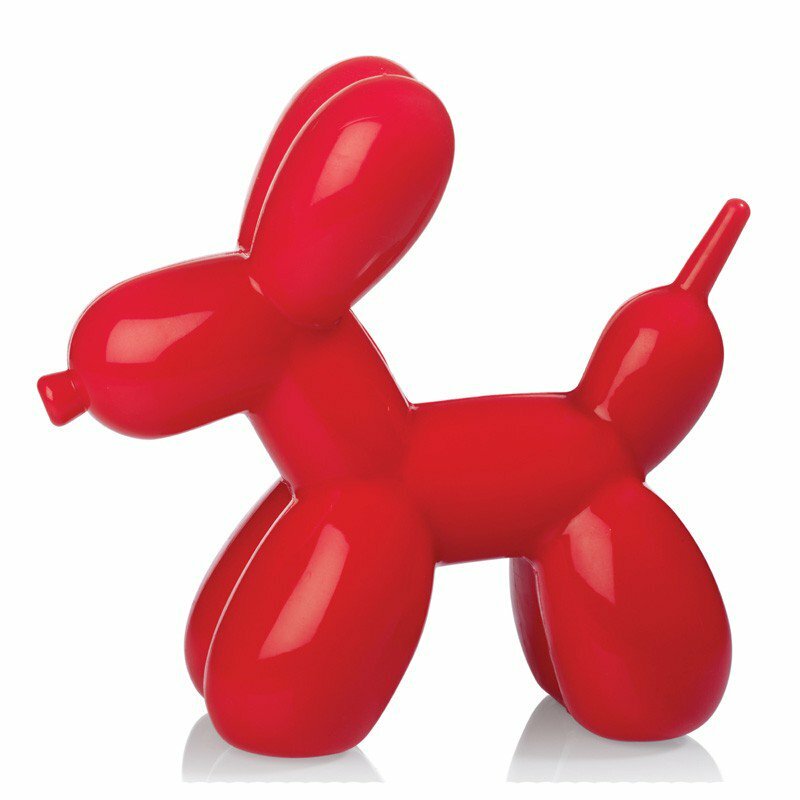 Inflate the fun in your home décor with this PAWsome modern night light! The Balloon Dog Light – Blue is a bold, bright and rather adorable take on the classic animal balloon art creations which have delighted generations of children. As well as evoking a sense of nostalgia, this playful creation will add a splash of colour and fun to any room in the house! Make your dinner guests paws for thought by presenting them with this wonderful Wild Dining Plate! In his rock-n-roll T-shirt and denim vest, this quirky Frenchie dares you to dish out your wildest food presentation! Rub-a-dub-dub, a pug in a mug! This novelty dog tea infuser is an adorable new way to make the perfect brew! 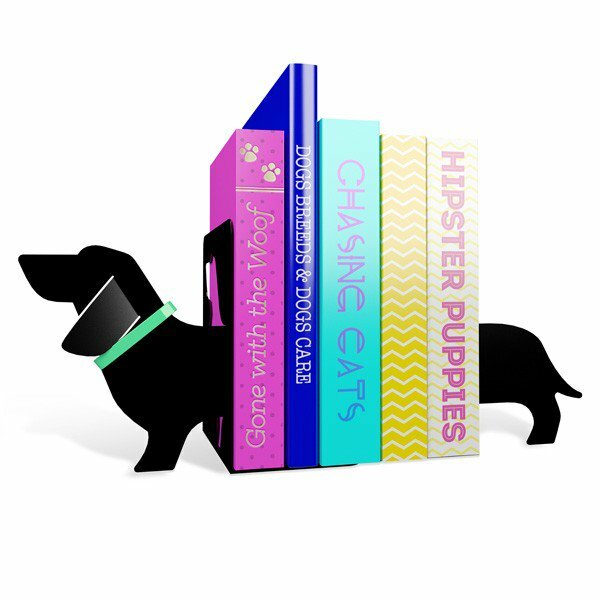 Add some character to your bookshelves with these delightful dachshund book ends from Mustard! These easily recognisable pooches are the perfect book end inspiration, as no matter how many books you position in-between each half, it won’t look out of proportion! A smaller version of the Papa Peropon! This thirsty pup comes complete with everything you need to grow some yummy clover, and will add a playful edge to any bookshelf, window sill or desk. It would make a pawsome gift or stocking filler for dog lovers and also anyone who always forgets to water their houseplants! This unique animal art gives this pawsome pooch a human twist; turning your walls into a major talking point! 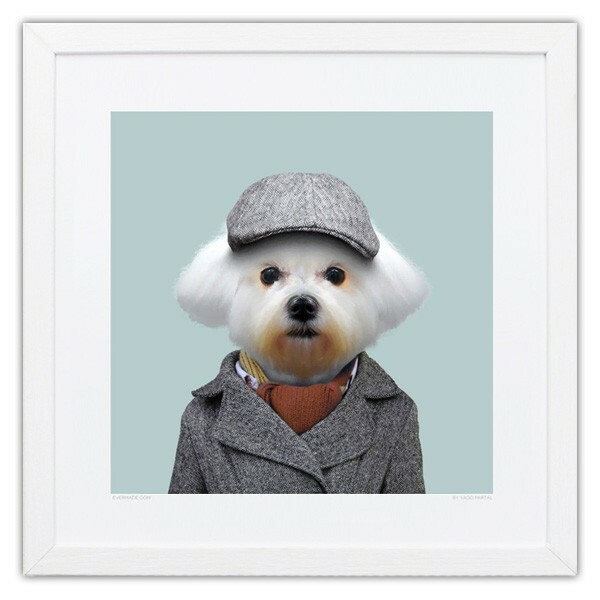 However this rather low-key flat cap and overcoat makeover reflects artist Yago Partal’s sense of irony, given that Maltese pups are often found wearing bright pink bows in their hair! This playful night light from Bitten Design is one home accessory which won’t go down like a lead balloon! Another adorable addition to Yago Partal’s Zoo Portrait collection, this particular design features an adorable Border Collie puppy, who’s trying hard to disguise his sheep-herding role by sporting a posh plaid waistcoat and matching bowtie. Check out all of our animal-themed homeware here!